Facebook sent shock waves through the technology world today by announcing the $19 billion acquisition of Whatsapp. While the numbers seem steep, this deal is a major coup for Facebook. Facebook valued Whatsapp at roughly $42 per active user, higher than the $33 per active user for Instagram. While this may seem expensive, the cost of doing nothing was far greater for Facebook - not something that would show up on a DCF. In the personal computing era, Facebook provided unique value by giving users access to an integrated social experience -- a one-stop-shop for communication, photo sharing, keeping track of your friends, etc. But with the advent of smartphones, this integrated experience was threatened by modular apps integrated by the smartphone interface. These social apps (Whatsapp, Instagram, Snapchat, WeChat, etc.) compete with Facebook for their single most valuable resource -- user attention. Recent reports of teens losing interest in Facebook are a direct result of this trend. As a result, it was imperative for Facebook to buy "user attention" owned by at least some of these apps. This doesn't mean that Facebook is trying to "own social", but it does show that they recognize the threat posed by these apps. That said, the exact monetization strategy of the Facebook-Whatsapp combination is still not entirely clear. Whatsapp has remained extremely conservative with their revenue model, even as their competitors evolved into distribution platforms. 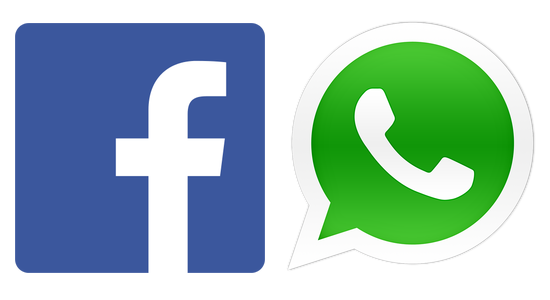 Facebook may eventually phase out Whatsapp's $1 annual subscription fee. If that happens, Facebook could then explore alternative revenue models to take advantage of their access to brands and developers. We can exclude in-stream ads (poor fit for a messaging platform) and e-commerce (poor fit for Facebook, unlike Rakuten's Viber acquisition). One possibility is to integrate Facebook's app center with Whatsapp. Another, more interesting possibility, is to follow KakaoTalk's example and allow brands to interact with Whatsapp users directly -- Users could choose to follow certain brand profiles on Whatsapp for up-to-date information, trends, discount coupons, etc. These monetization strategies could ensure that user experience and engagement is unaffected even as Whatsapp generates meaningful revenue. Of course, there are many more possibilities.